Our manufacturing facilities are equipped with the most innovative technology. 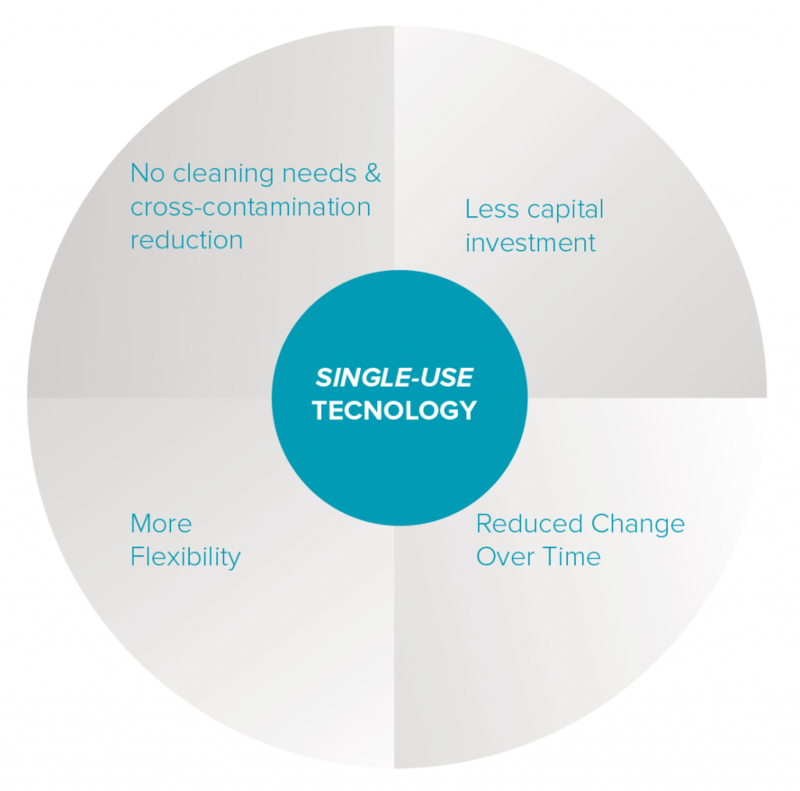 We use single-use technology in both manufacturing plants. This technology consists of the use of disposable bioreactors, which provides a double advantage. On the one hand, more flexibility, allowing products to be changed in a record time and, on the other hand, it eliminates any possibility of cross-contamination throughout this process. Furthermore, this technology allows a significant saving in the resources used during the production processes. Mainly, the consumption of water and cleaning agents, which falls by 80% and 90% respectively, since these are not necessary for the cleaning of the reactors, reducing the environmental impact of our facilities.